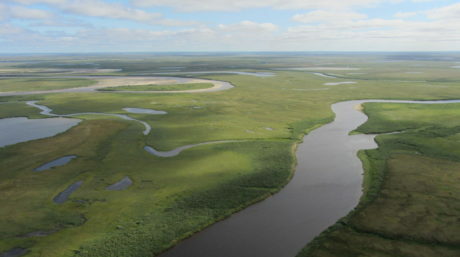 The MoU relating to cooperation on wetland conservation and wise use in Russia was signed by Wetlands International CEO Jane Madgwick and Russian Minister of Environment Sergey Donskoy. How does the ecological restoration differ from the traditional revegetation and the so-called rewetting activities for fire prevention or recultivation? A 1170-ha section of the Severny peat mining site, also known as the Bublik Site, drained for agricultural use and peat extraction is located in the center of the Dubna forested peatland complex in the southern Upper Volga Lowland. The site borders the Craneland Zakaznik. The project was implemented in winter 2013–2014. Water retaining dams of several constructive types were built and stabilized with boards and willow plantations. 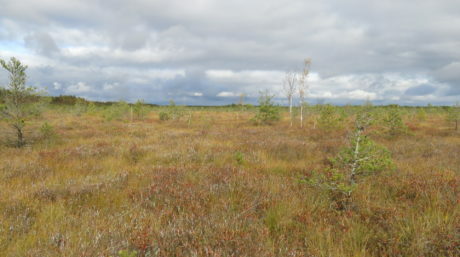 The rewetted site has been used as a pilot for experimental research into carbon balance and for monitoring vegetation and wildlife status in the Dubna peatland area. The 116 km2 Losiny Ostrov National Park is the first national park of Russia established in 1983. 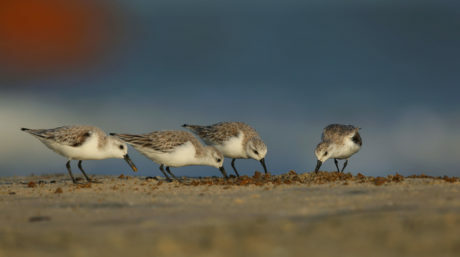 It is located in Moscow and its outskirts, in the north-eastern edge of the city. 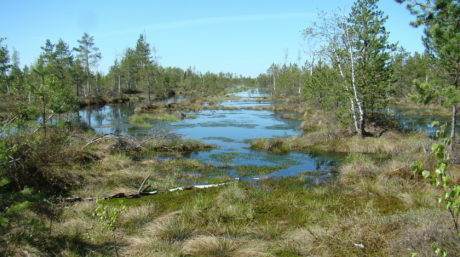 Under the Restoring Peatlands in Russia Project, a pilot site for ecological rewetting will be established in this area. 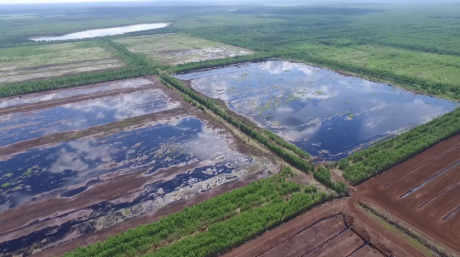 The Mokhovoye-2 peatland is a raised bog located in the Konakovo district of the Tver Province, covering an area of 2318 ha to zero peat depth. Large-scale industrial development of the peatland took place from the mid-1930s to the early 1960s. 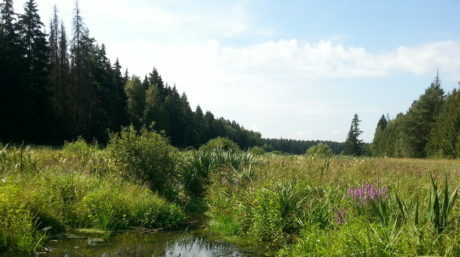 The rewetting project for the 1500-ha site was developed by the group of experts of the Peat Institute at the Tver State Technical University in 2013. The implementation of the project should promote restoration of the water regime of the peatland and the adjacent waterlogged area covering a total area of 2450 ha. 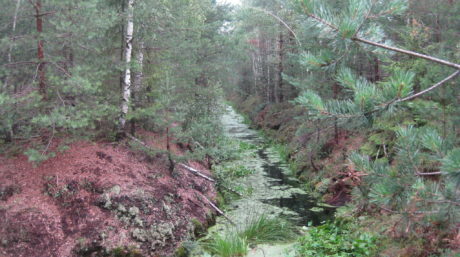 The Meschera National Park comprises unique peatland massifs covering over 23,000 ha. Some 8,000 ha of these are intact natural peatlands. Large peatland areas were affected by drainage, agriculture, peat extraction, and fires. Commercial peat production in what is now the national park began in early years of the 20th century. 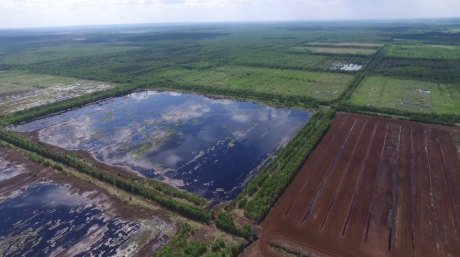 By the time the park was established, about 60% of the peatlands (some 15,000 ha) were drained. Currently, 5727 ha of the disturbed peatland complexes have been restored. 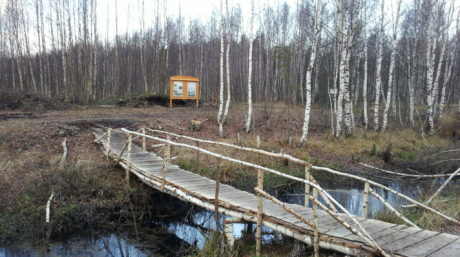 A 500-ha section of the Orlovskoye-Kurlovskoye peat mining site was chosen for the implementation of a pilot rewetting project.